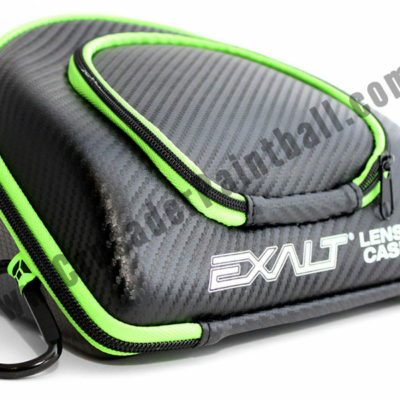 The BEST Paintball Store & Fields near Philadelphia, Princeton, and Trenton. Get all the paintball action you want right here in Bucks County, Pennsylvania. Located in the Langhorne-Fairless Hills area, and just minutes from Philadelphia, Trenton and Princeton right off I-95. We offer a complete paintball experience with 7 acres of outdoor playing fields. 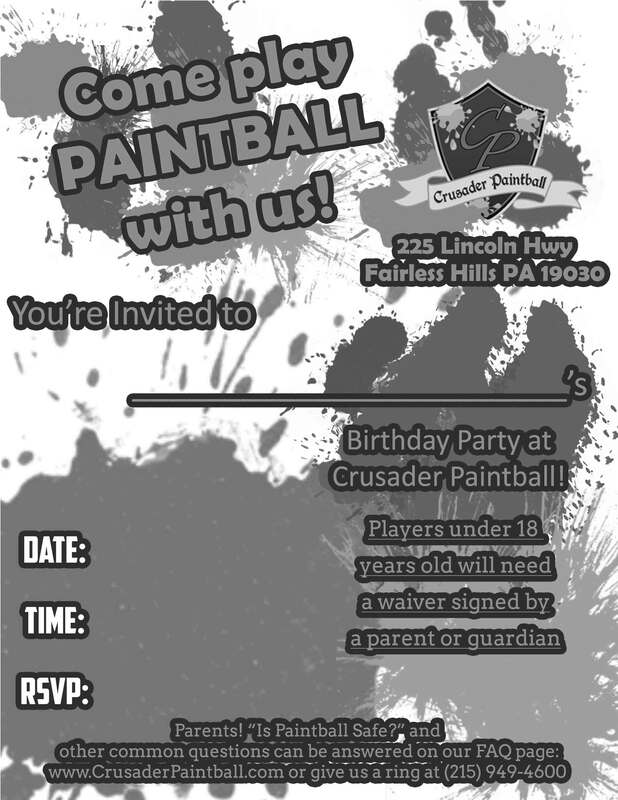 Crusader Paintball hosts the best Paintball parties and events around. Our complete packages include everything you could need, from rentals to private tables and hosts. We host birthday parties, bachelore/ette events, team building events, and so much more. 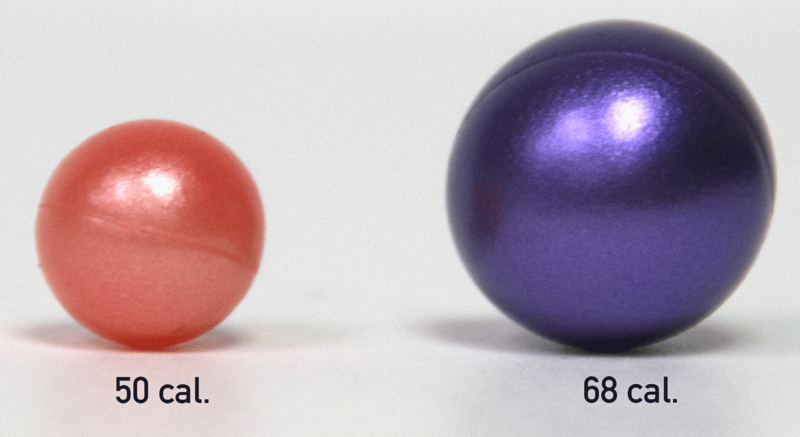 With new Low Impact Paintball, we have packages for everyone! Casual Walk On play is held every Saturday and Sunday from 10am until 4pm. Rental Packages are available with plenty of upgrades to choose from. 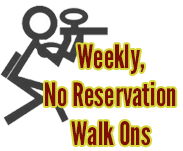 New for 2019 – Wednesday Walk Ons are coming May 1st! We carry all the brands you’d want in our shop. Knowledgeable staff will answer your questions and get you the gear you need to dominate on the field. A newly redesigned ProShop with the best brands will allow you to put the products in your hand before you buy – or browse our inventory live online! Speedball Sunday returns in 2019 with new regulation bunkers complete with hosted practices. Join up as an individual, or bring your team – a dedicated game manager will keep games moving while a ref keeps the bunker clean. It’s a professional style practice right in your backyard! Our Professional, Certified Technicians with experience working on everything are in-house for all your technical needs. Tuning, repairs, modifications, advice – they do it all. Worry less about your gear and more about your game knowing that our techs can perform every repair in-house, without the need to ship your prized equipment to a manufacturer. 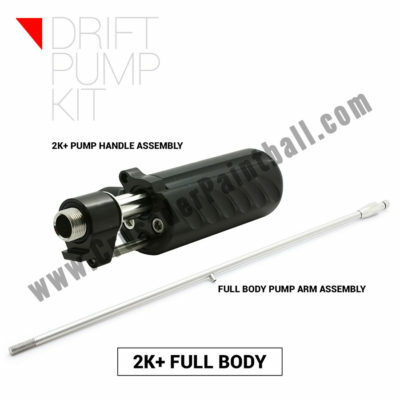 We started a Pump and Magfed Revolution – and the fun continues in 2019! Every 3rd Saturday of the Month we host Pump and Magfed Community Day: meet like-minded players and staff, play special game types, and best of all get great discounts! Schedule your next birthday party, bachelor party or team outing with us. We offer all the equipment and facilities you need to host a hassle free event. Yes we certainly do! 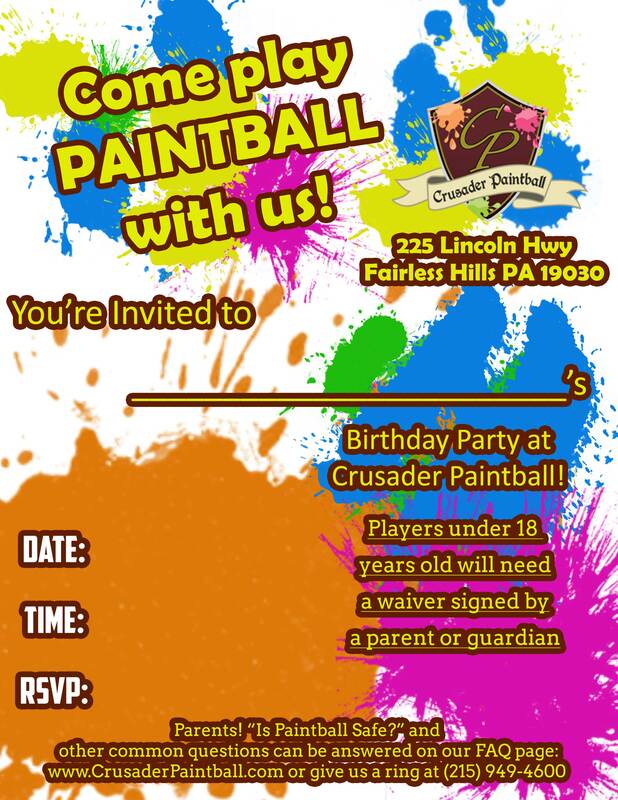 We are the experts in providing paintball parties in the Philadelphia, Trenton, and Lehigh Valley region. From Birthday Parties of 10 players to Corporate Outings of 100+ players, we can handle a variety of requests, and frequently work with schools, universities, hospitals, government agencies and more. Our packages include EVERYTHING: rental mask + gun + tank + paintballs , with private tables and fields included, we are the best valued paintball field you’ll find. Is there a minimum for private parties? Yes, there is a 10 person minimum for all private parties. If you have less than 10, consider coming to one of our public walk ons, held every Saturday and Sunday. You can make a private party reservation by calling our Pro Shop at 215-949-4600, or by using our online booking system. Please be advised that we require an up-front 50% non-refundable deposit when you want to book your time slot, so please have a credit card ready. This means that just calling and talking to a store associate about a party does NOT guarantee your party. Come and battle it out every Saturday and Sunday from 10am until 4pm. No reservations needed – just show up! Full day and half day rental packages available. Do I need reservations for Walk In Play? Nope! Open Walk On play is offered on Saturday and Sunday for anyone who just wants to make a day of playing paintball. 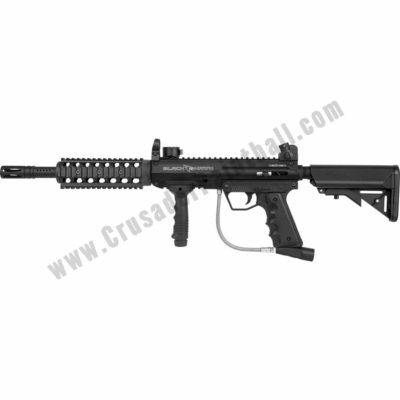 Whether you are an enthusiast or just want to try paintball for the first time, we are the place for you. Do you have rental packages? What if I have my own equipment? Yes, we have plenty of rental packages to accommodate all walk in players, no reservations required (although we do accept walk in reservations through our Online Booking System). We offer Rental Packages in two sessions – Full Day or Half Day. Full Day is from 10am until 4pm, Saturday or Sunday, and costs $65/player. This includes field play, rental mask + gun + tank, and 1,000 paintballs. Half Day sessions are from 10am to 1pm OR 1pm to 4pm, Saturday or Sunday, and cost $45/player. 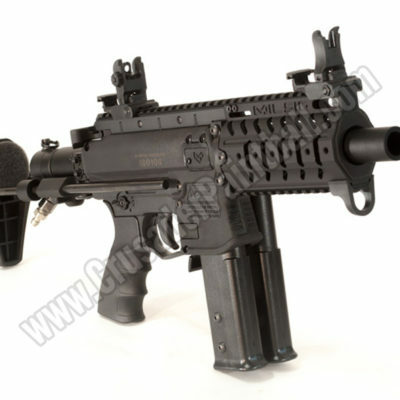 This includes field play, rental mask + gun + tank, and 500 paintballs. *All players who want to use rental equipment must leave collateral until equipment is returned; a State ID or Credit Card only. 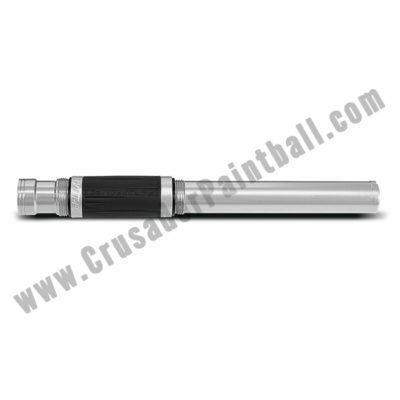 With new PeeWee play, Crusader now offers a paintball experience, without the PAIN! 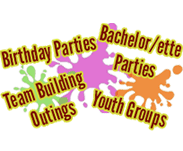 Call today about our fun and safe PeeWee Paintball Parties for 8-12 year olds! 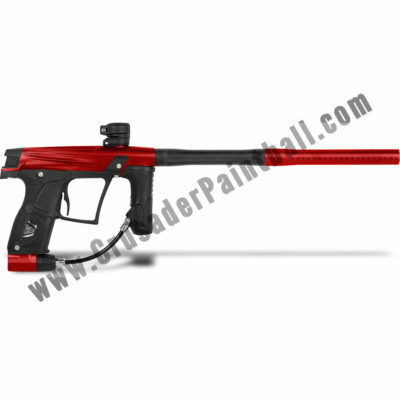 PeeWee Paintball is a new variant of paintball that allows for players 8 and up to get into the game with a low-intensity experience. Using low-powered guns not unlike Nerf guns, our PeeWee Parties are perfect for a younger player who wants to play like big sibling, but might not be old enough yet. How much do PeeWee parties cost? PeeWee Paintball Parties start at $30 / player. This includes private field play with instruction by a trained, friendly referee, rental mask + gun + chest protector, and 250 paintballs per player. PeeWee Paintball parties are 90 minutes long, and please feel free to use our covered outdoor picnic pavilion for after game pizza or cake!